By Peter Anderson 11 Comments - The content of this website often contains affiliate links and I may be compensated if you buy through those links (at no cost to you!). Learn more about how we make money. Last edited December 13, 2018 . Over the past few years we've been on a constant search to find ways to cut costs on our regular recurring monthly bills. Among those bills we've tried to cut is the cost for our home phone, along with our mobile phones. After searching around and testing out a couple of products, we settled on Ooma for our home phones. We get our landline phone like my wife wants, but with more features and significantly less cost. In our case the cost was about $4.50/month in taxes and 911 service charges. Not bad when our original landline cost us in excess of $43/month! Thus far almost 2 years in we've saved around $700! After settling on Ooma we've been looking around for suitable alternatives for our mobile phone service. While we knew we wanted to be with a no contract pre-paid cell service, settling on one took us a while. We were with Virgin Mobile for the longest time, and for some people I think it may still be a decent option. 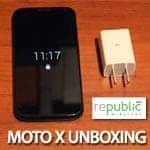 For us, however, we found that going with Republic Wireless and their hybrid calling technology was a more affordable option. This past month and a half we've been giving the cell service with Republic Wireless a try. After testing the service and being impressed, we ended up porting our existing cell phone numbers over to the service a week or so ago. Now we're signed up for the long term! So let's look at why we fell in love with Republic, and why we're going all in. Available Phones – New Phones Available This Month! I originally heard about Republic Wireless a couple of years ago, but at the time it was still a beta service, with the hiccups that go along with being a new service, with new technology. I read a bunch of stories about how their WiFi calling technology was still in it's infancy, and how it was a good idea, but not ready for prime time. Fast forward to the fall of 2014, and I started hearing about Republic Wireless again after they were a sponsor at FinCon14 in New Orleans. The reviews I read were much more positive this time around, and I touched base with a few bloggers who were using them – like J. Money at BudgetsAreSexy.com – and they had nothing but good things to say. After deciding Republic might be a decent option for our family I reached out to the folks at Republic, and they were kind enough to provide me with a review phone so that I could write about my impressions of the service. After testing out the phone for a couple of weeks my wife decided she also wanted a new phone (her phone was 3-4 years old at this point and starting to slow down), so I ended up buying a second phone for her to use. So we ended up with two phones, both of them the first generation Motorola Moto X, which at the time was their best available phone. You can check out the entire review on the review page here. When signing up for service, the first thing we noticed was that the cost for service was lower than most other services we had checked. The reason? According to Republic Wireless they're able to make mobile calling more affordable by making phone calls over WiFi when it's available. It's their so called “Hybrid Calling technology”. Making phone calls over WiFi is more affordable than making cell calls, so by offloading some of the calling onto WiFi, in theory you're saving money. According to J.D. Power the average monthly cell phone bill as of 2013 is $79 per month, while the average family plan is about $149. I had reservations at first about their WiFi calling technology, concerned that the call quality wouldn't be very good, or that there would be problems with WiFi to cell handoff if I began a call on WiFi but left the area while on the call. In practice I found the call quality to be excellent, and the WiFi to cell call handoffs weren't even noticeable. They were seamless. UPDATE: Republic calling plans have been updated. 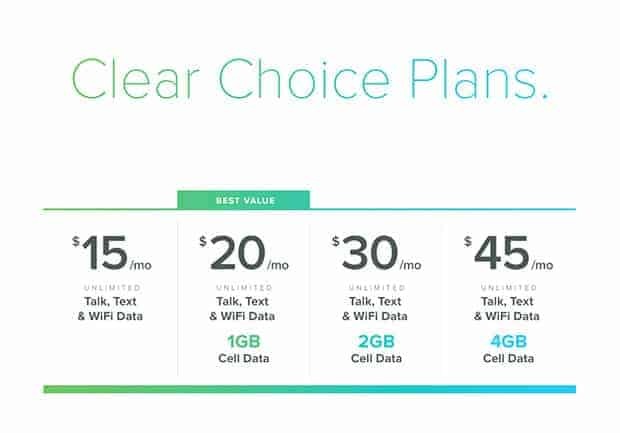 The plan that most people use is the unlimited talk & text + 1GB of LTE data for just $20. It is an amazing deal, and $5 cheaper than their old Republic Wireless 2.0 1GB data plan! Depending on how much data you use in a typical month, or if you use data at all, the service can be extremely affordable. I know some people that don't really use data that go with the $15/month plan, while others like me who use a small amount of data can go with the $20/month plan. While I tend to use more data than in the past, I always travel with my FreedomPop mobile hotspot anyway (that gives me 1GB of free mobile data every month), so I went with the $20/month plan that gives you some flexibility with cell service and texting, but only 1 GB of data. If I need extra mobile data I just fire up the mobile hotspot and I'm good to go! All in we're paying $20/month for my wife, and $20/month for me, so $40/month plus taxes every month. Previously with Virgin Mobile pre-paid phones we were paying $35/month for my wife, and about $10/month for me, so about $45/month plus taxes. So in essence we're paying less in monthly charges now, but we're getting more functionality and service because we have two high end smartphones versus a smartphone and a flip phone. Can't beat that! There are currently 8 phones available on the Republic Wireless service, with the newest ones being released just recently. Motorola Moto E4 – $99: This phone sports a 5? HD display, with 16 GB of internal memory, 2 GB of RAM, 2800 mAh removable battery and a MicroSD slot. Motorola Moto E4 Plus – $199: This phone has a 5.5? HD display, with 32 GB of internal memory, 2 GB of RAM, 5000 mAh rapid charging battery and a MicroSD slot. Motorola Moto G5 plus – $299: This phone has a 5.2? HD display, with 32/64 GB of internal memory, 2/4 GB of RAM, 3000 mAh rapid charging battery and a MicroSD slot. Huawei AScend 5W – $149: This phone has a 5.5? HD display, with 16 GB of internal memory, 2 GB of RAM, 3000 mAh battery and a MicroSD slot. 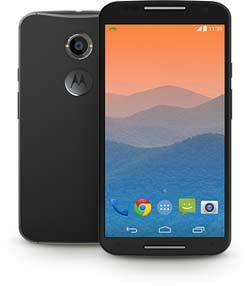 Motorola Moto G4 – $179: This phone has a 5.5? HD display, with 16/32 GB of internal memory, 2 GB of RAM, 3000 mAh Turbo Charge battery and a MicroSD slot. 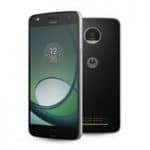 Motorola Moto Z Play – $349: This phone has a 5.5? AMOLED HD display, with 32 GB of internal memory, 3 GB of RAM, 3510 mAh 50 hr battery and a MicroSD slot expandable up to 200GB. Motorola Moto Z – $499: This phone has a 5.5? HD display, with 64 GB of internal memory, 4 GB of RAM, 2600 mAh battery and a MicroSD slot expandable up to 200GB. Samsung Galaxy S7 Edge – $599: This phone has a 5.5? Quad HD display, with 32 GB of internal memory, 4 GB of RAM, 3600 mAh 33 hr battery with wireless charging and a MicroSD slot expandable up to 200GB. There's a phone for every budget and every need with Republic. There's a starter phone at $99 for people who mainly make phone calls and occasionally want to check email on the go. Then there are the higher end Samsung Galaxy S7 Edge phones for the power user. All phones are well reviewed phones that I'm sure will work well for most people. Once we'd been using the service for about a month, my wife and I decided that we were happy with Republic, and decided to go all in and port our existing cell numbers over to Republic from Virgin Mobile. The process of porting our numbers couldn't have been easier. First, we gathered all of our account information about our account with our previous provider. That included the phone number, our account number (which we had to call Virgin to get), as well as pin number, billing number, account owner's name and billing address. Next, we logged into our account on the Republic Wireless site and clicked on the “transfer my existing phone number” link in the “My Account” page. That took us to a page where we clicked on the “Transfer My Number” button to start the process (see to the right). 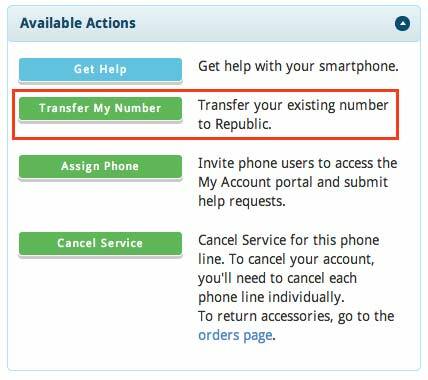 Next it asks you for the number you want to transfer to Republic, and it will check it to make sure it's transfer eligible. If your number is eligible to transfer it will then ask you for your account information for the old provider. You'll enter your account number, pin, billing phone, account owner's name and billing address. We ported both of our phone numbers via the site, and within 24 hours our numbers were transferred. Easy. There was no extra cost to us for transferring the number, which was also a plus. I've signed up for services before that charge $30-40 or more to transfer an existing number! WiFi calling worked really well: WiFi calling technology doesn't always work like you might expect. I've seen it done elsewhere where it can have significant call quality problems. With Republic, it just worked. WiFi to cell handoffs not as bad as I had originally feared: One thing people had complained about in the past was that handoffs from WiFi to cell towers would cause dropped calls, poor quality calls, and huge delays as the call switched over. My experience, however, has been that the handoff is now seamless. The most I have noticed was a brief hiccup where the call was handed off. I've experienced no dropped calls or quality issues. It has been seamless and reliable. Short code support: One issue that a lot of people had with the service was that it didn't have any support for short codes (where you can send short texts to a 5 digit number to receive coupons, discounts, flight updates, etc). As of October 2014, however, this is no longer an issue. Short codes are now fully supported. +1 for Republic continuing to improve their service. 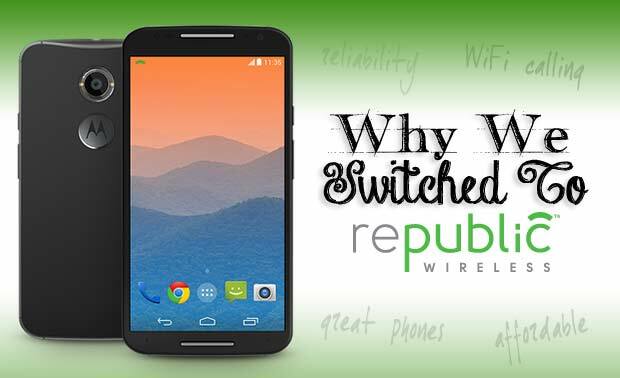 By switching to Republic Wireless we're going to be saving almost about $10/month over our previous pre-paid service with Virgin Mobile. Not only that, but instead of having one smartphone and one flip phone like we did previously, we now have two smartphones! If we were to have two smartphones with data at Virgin it would cost us $70/month at least, if not more! With Republic it's only $35/month! Use A WiFi Auto-Login App: With Republic Wireless the service works the best when you are able to make WiFi calls at the abundance of free WiFi hotspots at local Starbucks, McDonalds and a variety of other spots. This is especially true if you're using the WiFi only $5/month plan. The problem is that at a lot of those spots you'll have to agree to terms of service and sometimes fill out a form before you can use the WiFi. Other users on the Republic forums suggested using an auto-login app, so that you only ever have to login to WiFi for any hotspot once. After you've done it one time, you'll never have to do it again. I use an app called WiFi Web Login that works well, but costs like $1.99 after the trial I believe. I used it and it worked well at several hospital hotspots this past month. I can't tell you how much of a headache it saved me not having to login to the hospital WiFi every couple of hours. There is also one that will log you in automatically at all Starbucks and McDonald's locations called Starbucks WiFi Auto Login. 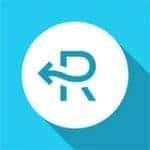 Use Offline Navigation Without Mobile Data: One of the few reasons I ever use mobile data on my phone is to use the GPS navigation with Google Maps while I'm driving around. I'm paying for the $10 plan that has no mobile data on my phone, so that means I can't use navigation unless I turn on my mobile hotspot. That's not that big a deal, but I did find a way around it. There is a free navigation app from Nokia that allows you to navigate without using mobile data. Instead you download maps to your phone beforehand for the area you're driving in. I've used it for a couple of weeks now using the downloaded Minnesota maps, and it works great! It's called HERE: Offline maps and navigation. So there you go, a couple of ways you can use apps to save even more on your Republic costs! After some initial hesitation we jumped in with Republic Wireless and haven't looked back. We've been extremely happy with the service, the call quality and the extremely affordable cost – we'll end up saving over $120 the first year! I highly recommend others check Republic out as well! Interested in checking out the service? Click through to the link below. Interested in learning some more? Here is some of the other recent content we've written about Republic, and saving on your mobile costs. Those are some great rates! I will have to look into this. They definitely are great rates, among the best you’ll find anywhere I think. That’s a good part of the reason why we switched, and the fact that the service works well, and the customer service being as good as it is when we’ve used it. So far it’s been a great switch! I am with Republic and I got an error sending a text to a 5 digit number as recently as 11/21. Do you have a link to the explanation on that? I will check on that – maybe there is something I need to do to update the software on my phone to get that fix. Thanks. I am getting a lot of texts like “Please confirm your doctor’s appointment for tomorrow at 2:00. Reply Yes to confirm” and it would be nice if the 5 digit texting worked. Thanks for your review. My oldest daughter and I are both on Republic and I have another daughter who is saving up for a Republic phone, that will be 3 of us with unlimited talk, text, and data for $75 a month which is pretty great. Sorry, not sure why it didn’t work for you. Short codes went live in October, so it should work. As long as the Republic app is updated to version 1.7.1100 it should work. Here’s a post announcing it: Short Codes Are Live! Thanks for sharing, Peter. Based on your review I switched myself to Republic Wireless a couple of months ago, and so far I’m also really happy with the service. I recommended it to a friend who just switched, and I think it will save him about $40 per month. I plan to switch my wife over once her current phone dies. Thanks for the great articles and recommendations! Keep up the good work! Thanks Jake, I’m glad I was able to help. I love sharing services that I use and love. Republic is one of those companies that not only works well for me, but that is extremely cost efficient as well. Can’t say I have anything negative to say about them! I have to be honest here; I tried Republic Wireless for a couple months and canceled. I went with the Moto E phone, which was decent, but I found that the service was lacking in my particular area. I think the concept is brilliant, and I hope that Republic continues to blaze a trail towards lower cell phone prices. I practically make a car payment every month in cell phone bill! Republic Wireless is a Sprint MVNO, so if the Sprint coverage in your area isn’t very good, then you may have issues. Sorry to hear it didn’t work very well for you. In our area we have great coverage, so that hasn’t been an issue for us. I have been doing a lot of research lately and felt like Republic would be the best for me. Unfortunately, my current number is not eligible for transfer. That is a deal breaker for me. I previously ported our land line number to my cell phone and got rid of the land line. My current cell phone number has been ours since 1982. It’s a great number, too, or I would change it. I will continue to check back with Republic Wireless to see if my number becomes eligible for transfer. Thanks for your review. Dan, there is a last edited date on the page after the post if you’re interested in that. Sorry Republic’s service with T-Mobile didn’t work well for you. I never used that, my wife and I were on the Sprint network when we were with Republic. My wife is still there and it works great for her on Sprint. I’ve since switched to a couple of other providers, including Twigby, and now Tello. Right now I’ve switched my service to Tello and am happy with it – on the Sprint network there as well.